Spend your days in classes, take breaks in the main quadrangle of UIUC and enjoy every moment being part of a thriving university campus. Outside the university and colleges, the city of Champaign makes a perfect base with so much to do in your free time. See a play at the Krannert Center for the Performing Arts, become a film buff at the Art Theater, or take long bike rides around the city’s bike paths and parklands. Go shopping downtown or browse the stores of Campustown to pick up those all-important essentials. From your new home in ONE North, you can drive to class at the University of Illinois in just five minutes or catch the bus from the on-site stop and zip to campus in around 30. Cycle or walk and you’ll feel invigorated and all set for a day of study. There are plenty of buses heading downtown, or to the station if you decide to get out of town and explore – Chicago is just three hours away. Closer to home, you can visit the picturesque Crystal Lake Park, just a short hop away, for a breath of fresh air and stunning scenery. At ONE North, spend chilly days curled up on the sofa in front of the fireplace in the cozy clubhouse. The low-rise apartment blocks are spread across a secure, gated community, creating a great sense of space and privacy. It’s perfect for an active lifestyle as well. Swim in the huge pool, looking up at the glass ceiling as you do lengths. Challenge your friends to a game of basketball, volleyball or tennis, or work out alone and lift weights in the fitness centre. Once you've worked up a sweat, you can unwind with a relaxing soak in the hot tub. 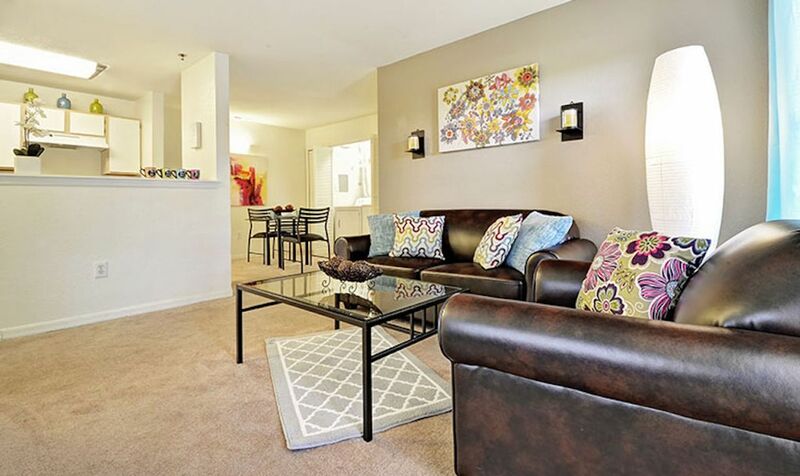 Back at your apartment, sit on your private balcony or patio and catch up with housemates. Then head through to the well-equipped kitchen to whip up something delicious for dinner. With plenty of storage space, a dishwasher and a washer dryer in your apartment, it will be easy to keep on top of your chores. After dinner, retreat to your fully furnished bedroom, where you can use the study desk to make a start on your assignments away from distractions. Then freshen up in your ensuite bathroom before settling down for a good night's sleep. 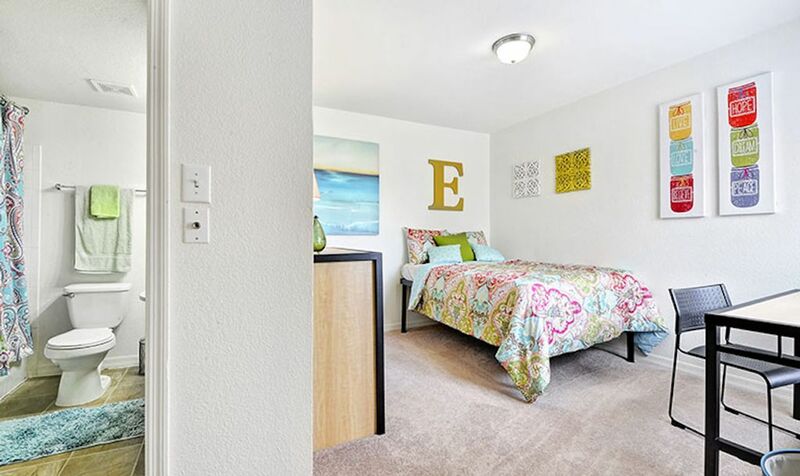 Your lease includes utilities and internet costs so you won’t need to worry about bills. With electronic apartment locks, 24-hour assistance and courtesy patrols within the community, you will have total peace of mind at ONE North. We couldn't find a room that matches your preferencesView all Private Room in ONE North.